For years we’ve been highlighting ridiculous coupons with fine print so restrictive that it basically ruins all the fun of saving money. In that spirit, the folks at home furnishings chain Lovesac decided to create a discount that is nothing but fine print. 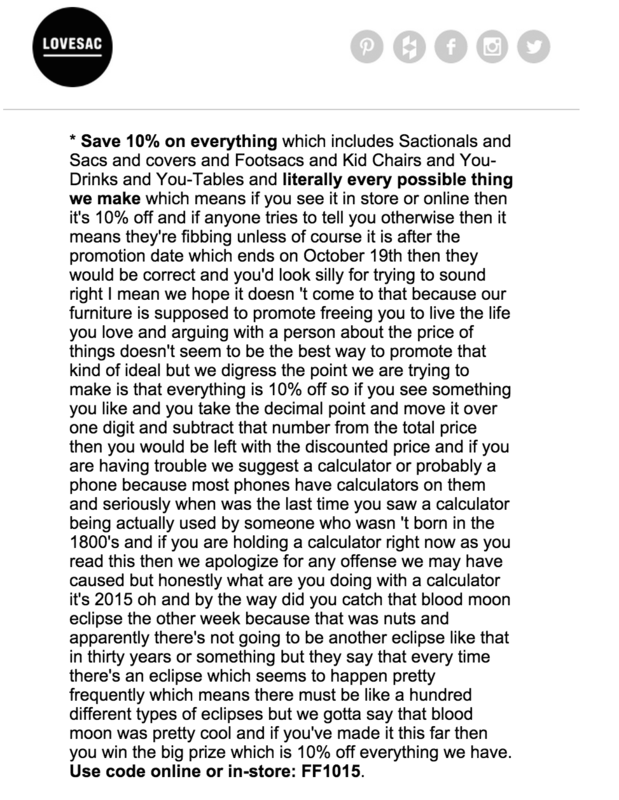 In an e-mail that went out to customers this week, Lovesac advertised “10% Off Everything*” with that asterisk referring to the disclaimer you see above. It’s just nice to see a retailer using the power of the asterisk for good and not very mundane evil. • What Can This Babies R Us Coupon Actually Be Used For?